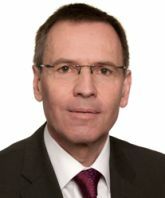 Volker Hampel is director at KPMG AG. He graduated with a degree in business and economics from Goethe University Frankfurt. He has worked for several years in the internal audit department of Deutsche Lufthansa AG. Mr Hampel has also been the managing director of Voith Paper Automation at Voith GmbH and he has been a partner at EY in the internal audit/risk advisory division. Before working at KMPG, he was the managing director at the DIIR – Deutsches Institut für Interne Revision e.V.